Work on Silverstone’s new Pit and Paddock Complex is well underway as development around the iconic Northamptonshire circuit continues at a pace. The circuit’s brand new Stowe Complex – a unique collection of customer focused test track facilities, hospitality units and pit garages – has also been officially opened today. Included in the Pit and Paddock Complex, scheduled for completion in 2011, are new garages, a race control building, media centre, hospitality and VIP spectator zones and a primary paddock. The new Pit Wall has already been constructed on the straight between Club Corner and Abbey, while work on a new pit lane, with reorganised entry and exit points, is also on-going. The Pit and Paddock Complex will ensure that teams and sponsors are provided with world-class facilities, reaffirming the circuit’s position as a premier racing destination. 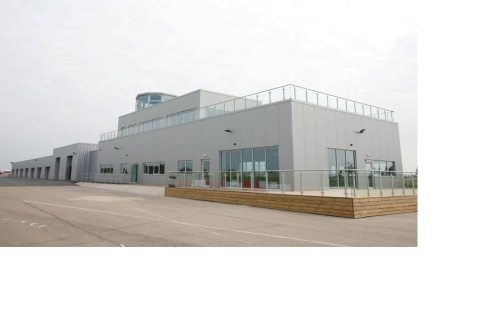 The focal point of the Stowe centre is a new multi-surface 1.088 mile fully-licensed race track. Purpose-designed, the circuit can be used to demonstrate chassis control systems like ESP and ABS on modern vehicles. The Complex is also home to a split braking area and a three-lane irrigated wet handling pad, boasting different levels of grip from sheet ice to standard wet tarmac. Away from the track, two new hospitality buildings have been constructed with automotive and corporate events in mind. The first group of units will serve the new Stowe Complex and the second the existing Southern Circuit. Both buildings have roof terrace viewing along with briefing rooms and independent catering facilities. Richard Phillips, Managing Director of Silverstone Circuits Limited, said: “These new facilities, and the redevelopment of Silverstone at large, will provide a venue where all forms of automotive and motor sport events can be celebrated in style.